(Updated at 4:15 p.m.) Nestlé is moving its U.S. corporate headquarters from Southern California to Rosslyn, the company announced today. The move, a boon to Arlington in its effort to reduce the county’s office vacancy rate and its reliance on government-related employment, will finally bring an anchor tenant to 1812 N. Moore Street. 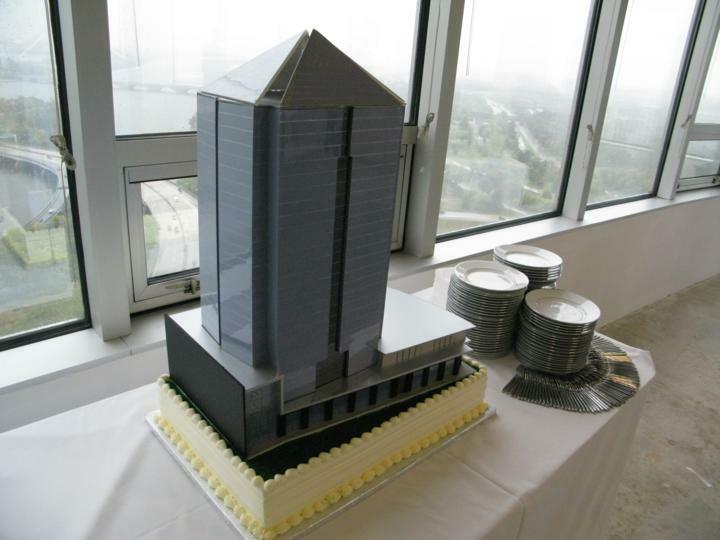 The 35-story office building, owned by Monday Properties, was completed in 2013 after being built “on spec” and has remained vacant since, awaiting a major tenant. Nestlé will be initially leasing 40 percent of the building, just over 200,000 square feet on the top nine floors, with the option to expand to over 250,000 square feet, according to a press release. Nestlé had $26 billion in sales in the United States in 2015. The company’s brands include Haagen-Dazs, Coffee-mate, Stouffer’s, DiGiorno, Gerber, Kit Kat and Pure Life bottled water. Nestlé will be investing $40 million in the relocation and estimates that it will be creating about 750 jobs locally. The company chose Rosslyn over 20 potential locations across the country after being offered $10 million in grants from the state, and $4 million in grants and $2 million in infrastructure improvements by Arlington County, the Washington Post reported. The Washington Business Journal was the first to break the news, ahead of a 3:15 p.m. press conference with Virginia Gov. Terry McAuliffe in Rosslyn. Less than weeks ago ARLnow.com predicted that 1812 N. Moore Street would get its first tenant this year. Arlington is not the only beneficiary of Nestlé’s move. St. Louis stands to gain 300 jobs as Nestlé centralizes its information technology operations in the city, the St. Louis Post-Dispatch reported today. But Arlington is the big winner, gaining high-paying jobs and a prestigious corporate tenant that will further boost the county’s business reputation. A big part of the draw: the highly-educated workforce in the area. Nestlé USA’s CEO cited “benefits for our current employees as well as a great talent pool for the future” in an Arlington County press release. That echoes what Monday Properties says is driving leasing along Arlington’s Metro corridors. “Nestlé’s announcement comes on the heels of a number of high-profile corporate commitments to the Rosslyn-Ballston corridor, which has transformed and attracted one of the country’s most desirable pools of top talent for companies looking to leverage for future growth,” the property owner said. Soaring 390 feet, the LEED Platinum certified 1812 North Moore Street building is metropolitan Washington, D.C.’s tallest building with unprecedented visibility and recognition in the marketplace. Of incomparable caliber, distinct design and boasting the most efficient floor plates of any trophy building in the area, the building offers 537,000 square feet spanning 35 stories. The project’s remaining floors (encompassing over 300,000 square feet) provide future tenants with quality view space which is situated within a neighboring “who’s who” tenancy, including but not limited to Grant Thornton, Sinclair Broadcasting, Sands Capital, Raytheon Company, and BAE Systems. 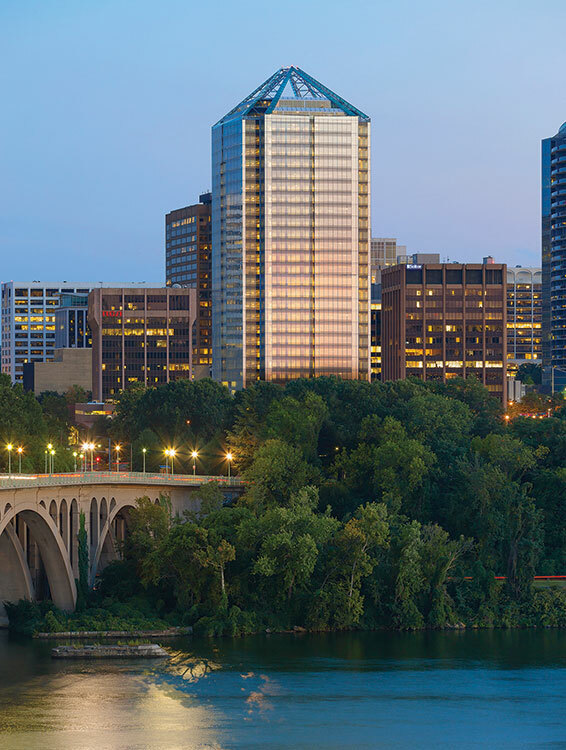 On the heels of the Nestlé transaction and as a result of projected increases in defense spending under the Trump administration, Monday Properties expects to see sustained momentum in commercial real estate leasing within Rosslyn over the coming months. 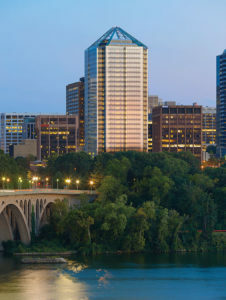 Monday has transacted on over 650,000 square feet of leasing activity in Rosslyn over the past 18 months.